Vintage Red Pearl Drop Earrings, you can easily give your earrings change clothes! 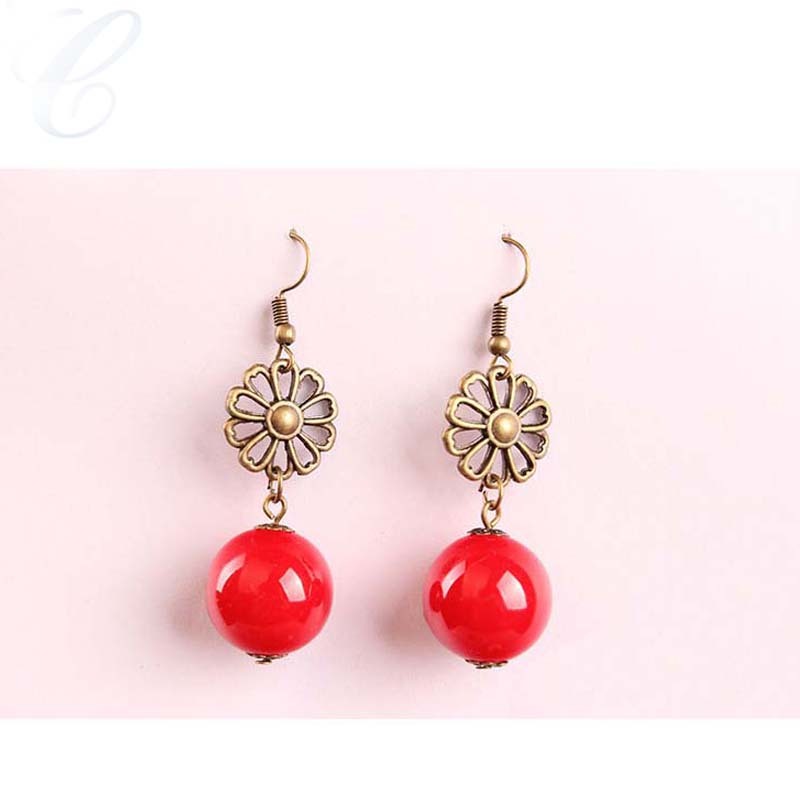 Charm of brass earrings accessories, highlight the bold and fashionable. This pair of fancy ears with sweet red pearl features, bright dazzling, sketched out the season's most popular earrings contours. We can provide other color as your requirements, OEM is welcomed. Looking for ideal Red Pearl Earrings Manufacturer & supplier ? We have a wide selection at great prices to help you get creative. All the Red Pearl Drop Earrings are quality guaranteed. We are China Origin Factory of Vintage Pearl Earrings. If you have any question, please feel free to contact us.